The protein that is present in your body breaks down into AA, which is known as “building blocks of life”. Your diet is not sufficient to provide you with adequate quantities of proteins. The processed food quality and the non-processed food quality have descended. Poultry, eggs, meats and also vegetables are a good resource of protein. So, how to gain pure protein for your body that will help energize growth and bring about enhanced athletic performance? 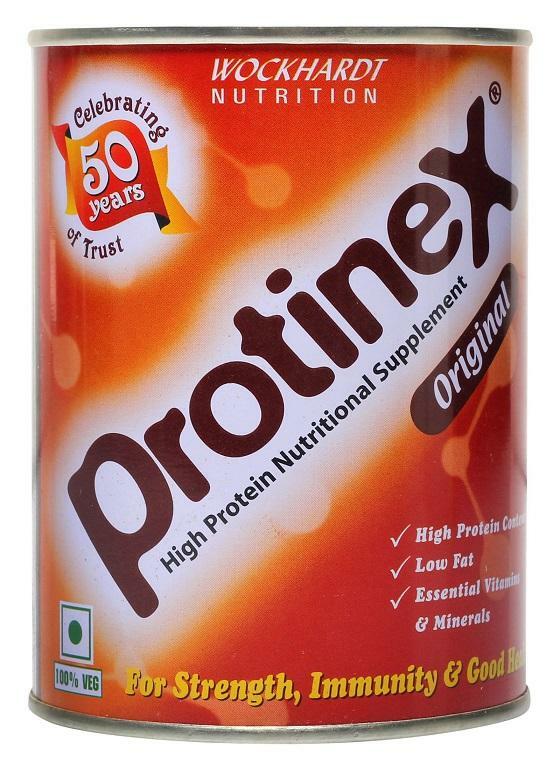 It is only possible if you consume supplements such as protinex original. Protein hydrolysate, sugar, malt extract. Minerals : Tribasic calcium phosphate, ferrous gluconate. Vitamins : Choline bitartrate, ascorbic acid, niacinamide, vitamine E acetate, vitamin A palmitate, thiamine mononitrate, riboflavin, pentothenol, pyridoxine hydrochloride, cyanocobalamin. vitamin K3 menadione, folic acid, biotin, ergocaliferol. "Wockhardt Nutrition came into existence with the acquisition of Dumex India from Royal Numico NV of Netherlands in the July of 2006. This was an outcome of Numico’s decision to focus on China and other South East Asian markets. The acquisition gave Wockhardt an opportunity to consolidate its nutrition business, where, it has a strong presence in infant nutrition with brands like Dexolac, Nusobee and First Food etc. With the acquisition of Dumex, Wockhardt inherited 2 heritage brands with over 50 years of brand equity – Protinex and Farex. Prior to this acquisition these brands were being marketed by Dumex till it got acquired by Royal Numico of Netherlands globally."